The Saharawi woman celebrates this day under the constant threat of attacks on her physical integrity, insults, sexual assault, kidnap, ridicule, beatings and other forms of humiliation, committed against her by the Moroccan state, as a result of her participation in peaceable demonstrations to demand respect for human rights in Western Sahara. Hundreds of Saharawi women have been seriously injured amid the Moroccan authorities’ violent interventions against protesters, resulting in many women being hospitalised, with some having to undergo surgery. Many of these violations have been reported to the Moroccan authorities of justice, evidenced through film, photographs and eye witness accounts which confirm the involvement of the Moroccan authorities, demanding serious and unbiased investigations into these cases which will hold to account those responsible for torture and other human rights violations. 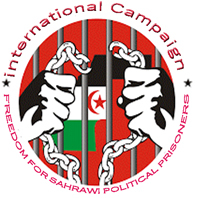 However, due to the lack of real justice, independence and transparency within the Moroccan judicial system, these investigations never take place; on the contrary, the Moroccan state frequently promotes officials who are accused of human rights violations against Saharawis and relocates them to Moroccan cities. Adala UK congratulates women all over the world, particularly those who are fighting for peace and stability, like those Saharawi women who demonstrate peaceably for their rights, despite the constant agressions they face.